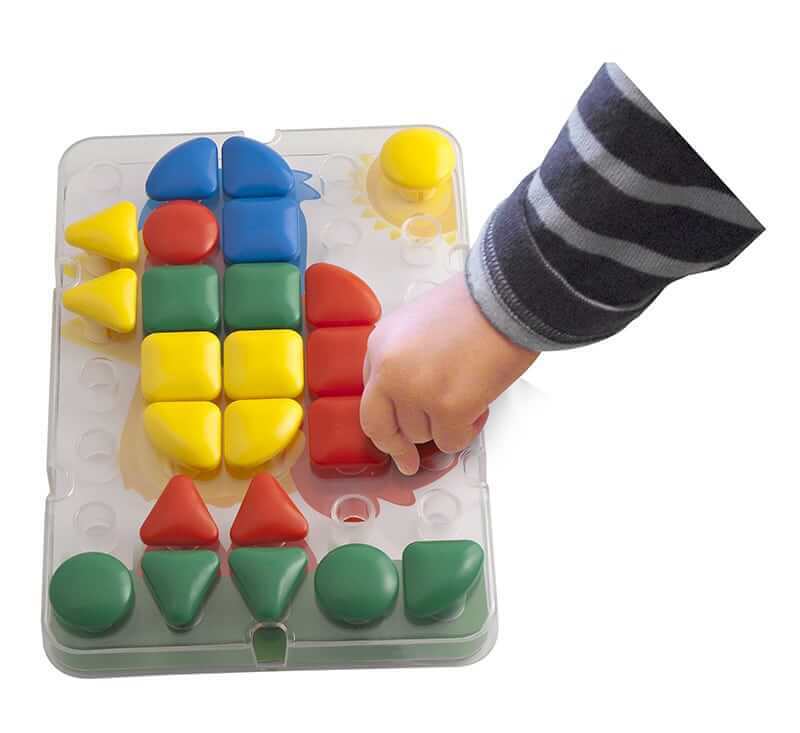 Thirty-two, large, easy to place pegs in four shapes and four colors and a clear peg board invite open-ended, creative play as well as shape and color matching challenges. 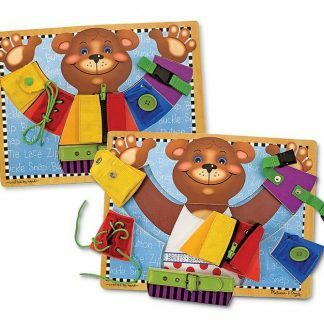 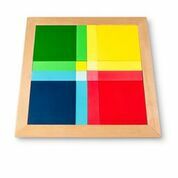 Each of four pattern cards fit securely into place at the bottom of the board for one-to-one correspondence matching. 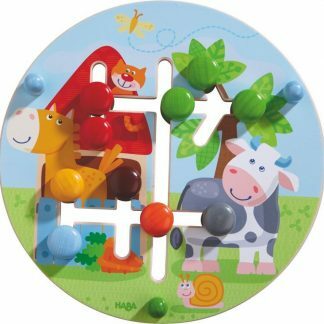 For more advanced pattern matching, place the pattern card beside the peg board. 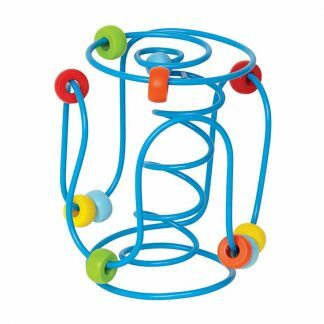 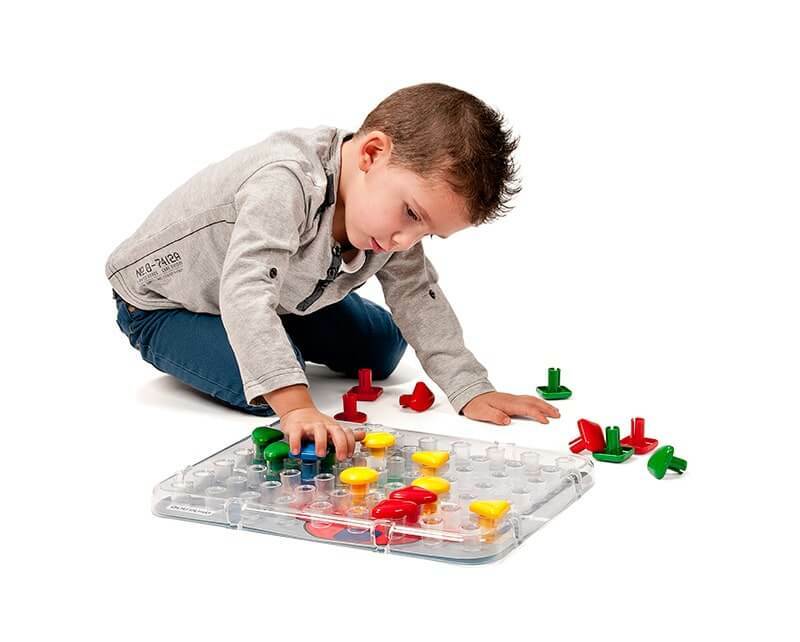 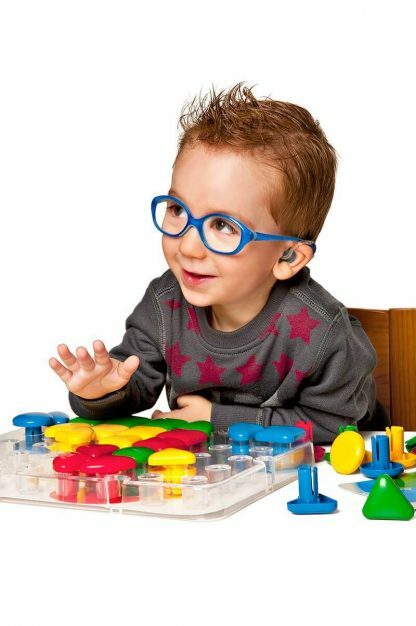 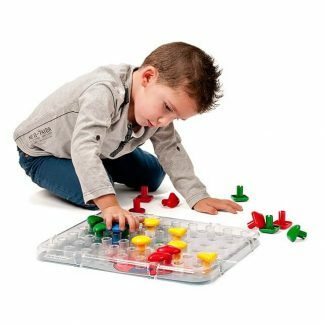 Superpegs Mini develops eye-hand coordination and fine motor skills, shape and color discrimination and identification, language, and spatial awareness. 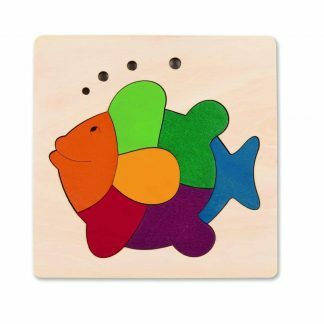 Board measures 8 1/4″L x 11 7/8″W. 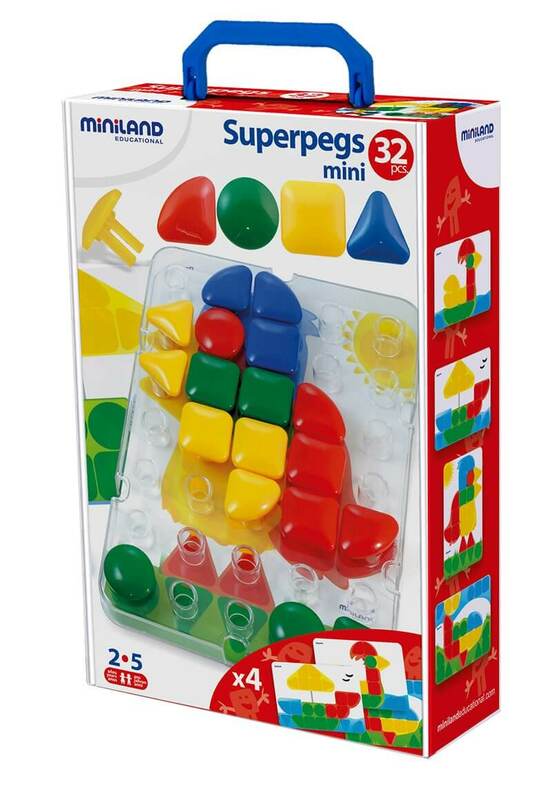 Made in Spain, Superpegs Mini has won recognition from AblePlay for its benefits for children with disabilities.